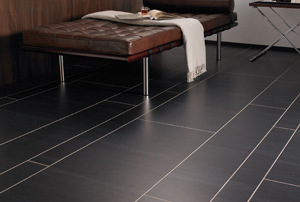 Vinyl is a practical floor covering for bathrooms and kitchens. Vinyl flooring is water resistant allowing you to easily mop up spills. We stock a huge range of colours and designs to choose from. Carpet brings warmth to any room and we stock carpet for every budget. We carry a vast stock of carpet from man-made to pure wool, something to suit everyone, whether tartan, striped, patterned or simply plain. 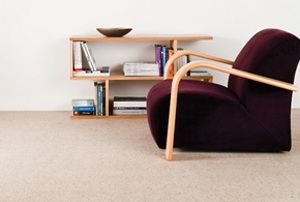 From practical manmade fibres offering durability and easy cleaning to luxurious wool blend carpets, we offer a huge range to choose from including wool, nylon, polypropylene, polyamide, sisal, sea grass and coir to mention a few. Laminate flooring is a compressed fiberboard plank, covered by a photographic image and a protective overlay. Whether you like modern or traditional, laminate flooring offers a wide choice of plank sizes, various types of wood design and colours with many beautiful raised textures and grooves. Using a more modern approach to wood flooring, engineered wood flooring uses a layered construction made up of three layers of cross glued ply or spruce with a top layer of hardwood. This layered construction controls the natural movement of a wood floor. Engineered wood flooring can be resistant to moisture affording stability. It normally comes pre-finished with tongue and groove edges and depending on the manufacturer can be installed as a fully glued down floor, or on top of a suitable underlay as a floated floor. Made from one piece of hardwood timber, solid wood flooring is as authentic as you can get, available in a variety of thicknesses and widths, pre-finished or unfinished. This flooring comes mainly with tongue and groove edges and is usually glued or nailed onto the sub-floor. Solid wood flooring will create a natural and warm ambience and is very long-lasting, as it can be sanded and refinished many times over. Luxury Vinyl Tile Flooring allows you to create and design a beautiful floor from famous brand names such as, Karndean, Amtico, Moduleo and Uni – Click. This luxury flooring comes in different formats from tile to plank effect and enables you to create your own unique design. Suitable for any area in the home it is a product which will give years of comfort and durability. At the Edinburgh Carpet & Flooring Warehouse we believe that a carpet is much more than just a carpet. It is the foundation for any room in the house. It can bring a warm, cosy feel to a family living room on a cold winter’s night. A carpet can add a sensual, relaxing feel to a room, when Dad has had a tough day at the office. A carpet is the soft underfoot landing pad for when a Baby makes its first steps. We have everything to make your house a home. We stock & display all your favourite brands from Mohawk, Cormar, Woodward Grosvenor, Mr. Tomkinson & if you are feeling creative go Alternative & create your own flooring with Alternative Flooring and many more.